The ferry Capt. Earl W. Winsor departed Lewisporte Jan 30, 2019 under tow of the tug R.J. Ballott to Springdale, where the ship will be refurbished from what I head. The Winsor built in 1972 served as the Prince Nova, and was bought in 1998 and renamed Capt. Earl W. Winsor, after a long time serving member of the house of Assembly, serving the people of Newfoundland and Labrador. 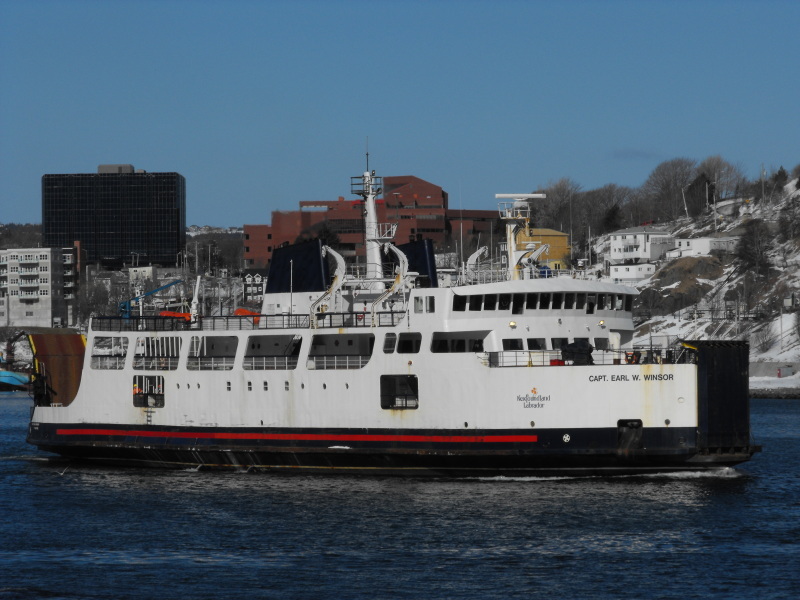 The ship was purchased for $300,000 and to get it ready for the Fogo Service $2 million was spent. The photo attached was taken in 2011, looking pretty good. Hopefully she finds useful service somewhere. It’s a better fate than the scrapper. And it’s “Winsor”, sir.